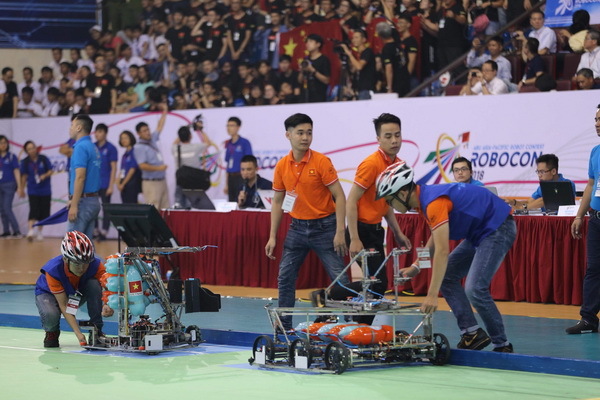 The final match of Asia-Pacific Robot Contest 2018 was held on August 26 in the northern province of Ninh Binh. LH-Galaxy team from Dong Nai based Lac Hong University, representing Vietnam beat China to win the championship title at the 2018 ABU Robocon. The competition was organized by the Asia-Pacific Broadcasting Union and Vietnam Television. This year's contest draws the participation of 19 teams from 18 countries including two from Vietnam. After overcoming teams from Iran and Egypt at the qualifying rounds, LH-Galaxy continued to defeat a very strong team from Malaysia. In the semi-finals, the team defeated an opponent from Tokyo University of Technology to meet their fully predestinated rival - China in the finals. LH-Galaxy beat China team with a result of 16 seconds. With this victory, LH-Galaxy received a trophy, bonus worth 3,500 USD. 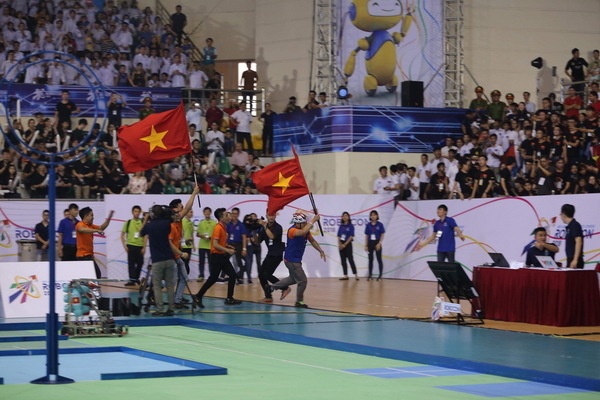 China team was claimed 1st runner-up while Japan and Cambodia teams ranked Third. This is the third time LHU is crowned champion in the ABU Robocon (earlier in 2014 and 2017).